Im selling Amelia Earharts camera which was gifted by her to a family memeber in 1933 after returning back from a trip to Chicago with her Husband. The camera has been in my family possesion since that time and has been in long term storage, the camera appears to be working correctly. I would like the camera to go to a museum if possible. A RARE camera which belonged to American aviation pioneer Amelia Earhart is to go under the hammer in Glasgow.The pilot’s prized possession will be just one of a collection of vintage and modern cameras to go on sale this month. 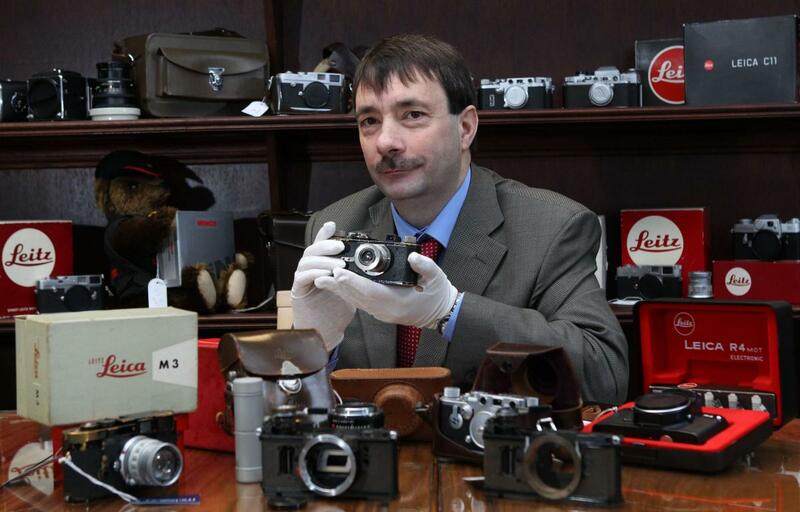 Around 120 lots belonging to photography enthusiast Ian Macdonald, from East Ayrshire, are to be auctioned off by McTear’s Auctioneers on March 24.The jewel in the crown is a Leica 1, which was gifted to Amelia Earhart by her husband George P Putnam.The black paint camera, which was made in 1929, is thought to have been given to Ian’s grandfather Wullie Macdonald when he worked for a cleaning firm that collected laundry from hotels and homes in New York.One of his jobs was to collect clothing from Earhart’s house in Rye and during a visiting in 1933, he commented on the aviator’s camera. Earhart, who was the first women to fly solo across the Atlantic, told Wullie she preferred to use another model and gifted to him along with a signed card.It is expected to reach between £10,000 and £15,000 and includes a leather carry case, lens cap, range finder, two reloadable film cassettes and holder. I don’t discount the possibility that the story is true and this was Amelia Earhart’s Leica, but my sense is it’s another half-baked scam designed to fool some hapless collector with more money than sense. You just need one, and God knows they’re plentiful in Leica land. However, if you’re going to command a $69,500 premium for the camera based on that claim, you’d better have the proof locked down. In this instance, the “proof” is his word based on a tall tale Grandpa Wullie told him and a signed note alleged to be from Ms. Earhart. While living in Los Angeles in 1923, Earhart did work in a photography studio; and she and a friend later briefly operated their own photography business. 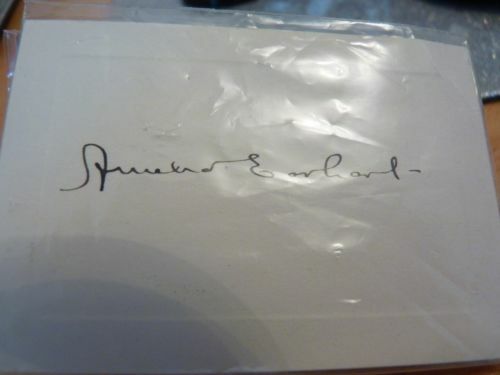 But there seems to be nothing in the historical record indicating Earhart used a Leica; on the contrary, all evidence points to the fact that she used a Kodak folding camera (the seller has cleverly noted the same in his auction). There’s also another guy claiming he owns Amelia Earhart’s camera). It’s usually the specificity of the story which raises the red flags – the fact that the camera was special ordered by a Busby Catenach of Wawatusa, Wisconsin; or the father’s notes indicating some crucial fact, contained in a letter dated 1946 complete with return address and zip code (US zip codes weren’t used until 1963); or, in this case, the claim that the camera “is thought to have been given” to Amelia in 1933 and then by Ms. Earhart to grandpa in the same year because she found it “fidly to use” whereupon in went into his collector’s vault along with the signed note – yet the camera looks very well-used, presumably by Ms. Earhart. And don’t get me started on the signed note: it simply looks too good, all shiny and new, and in a plastic sleeve no less, a sleeve which wouldn’t conceivably be commercially available until the 80’s, and darn, doesn’t that note fit all nice and snug in that plastic sleeve. In other words, if Mr. Ian MacDonald thinks he’s on the level (and he may), it sure appears Grandpa Wullie’s been telling him one heck of a story. And if you’d “like to see the camera go to a museum,” then ring up a museum instead of hawking it on Ebay. Just a thought. At least he’s considerate enough to wear white gloves when he uses the thing. 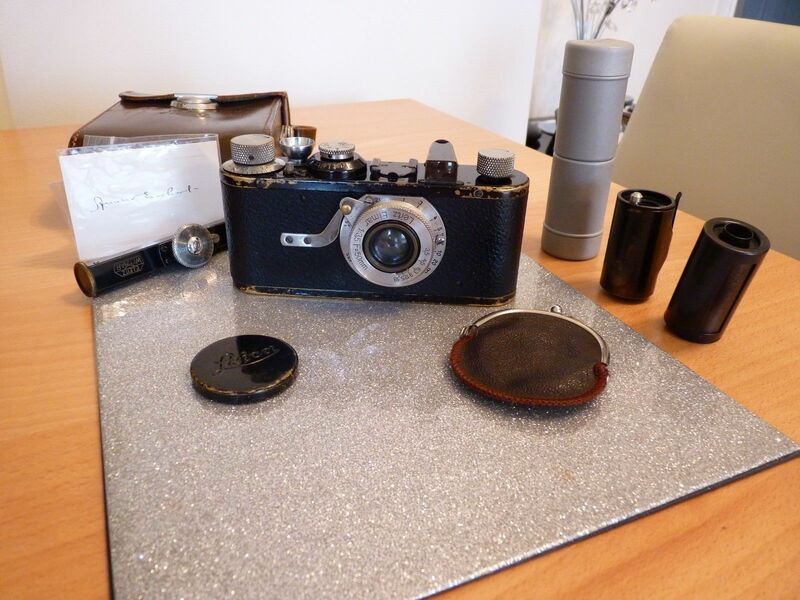 This entry was posted in Collectible Leicas, Famous Leica Users, gratuitous Leica Swag, Leica Film camera, Leica History, Leica II, Thread Mount Leica and tagged Amelia Earhart Leica, Henry Obert, Third Man Cameras on March 11, 2018 by Leicaphila.